One-Pan Roasted Salmon and Broccolini - Oh Snap! Let's Eat! 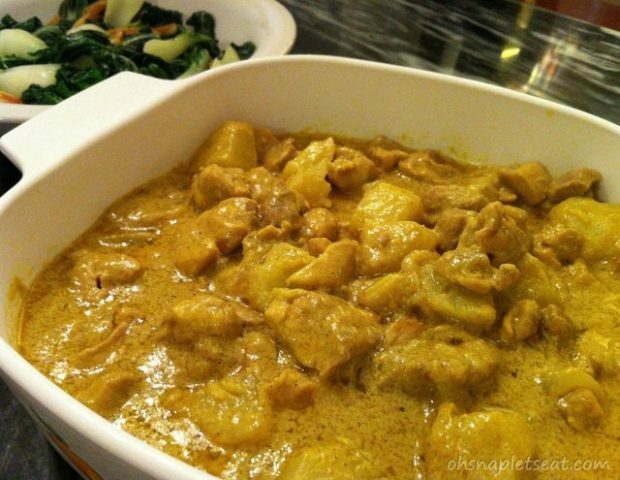 This is for everyone out there who says that they don’t have time to cook. This one-pan dinner takes very little time to prep and no time at all to clean up after — all you have to do is peel the aluminum foil from the pan and you’re done! 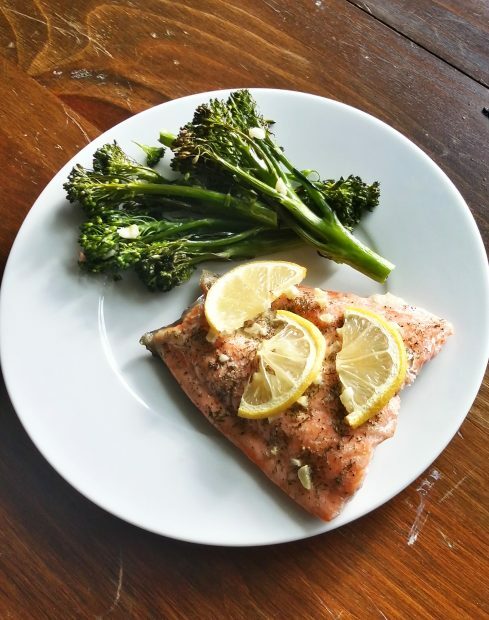 Beyond the perks of this being such a quick and easy meal, it’s healthy, too: salmon is filled with Omega-3 fatty acids, and broccolini is rich in potassium, calcium and antioxidants. It’s also an incredibly delicious meal — it’ll have anyone within sniffing distance floating toward your kitchen cartoon-style, ready to divulge of the amazing flavors created by the combination of lemon, garlic and dill. Drooling yet? 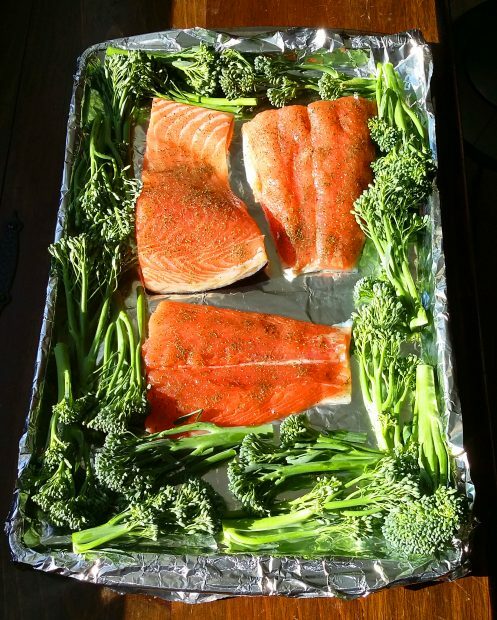 Line a baking sheet with aluminum foil and preheat oven to 450°F. Pat salmon dry. Rub with oil and place on baking sheet. Sprinkle with sea salt, black pepper and dill. Add broccolini to pan. 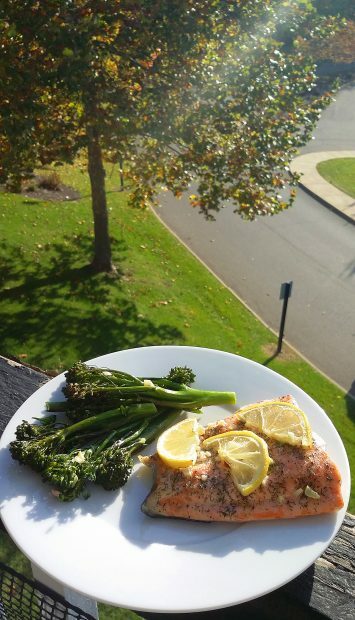 Mince garlic and sprinkle over both salmon and broccolini. Drizzle oil over broccolini, just enough to lightly coat. 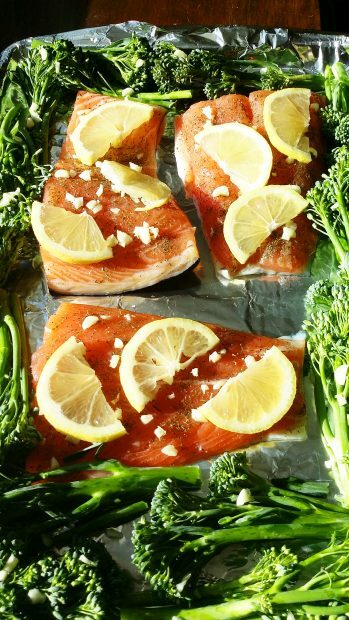 Thinly slice lemon and place atop the salmon. 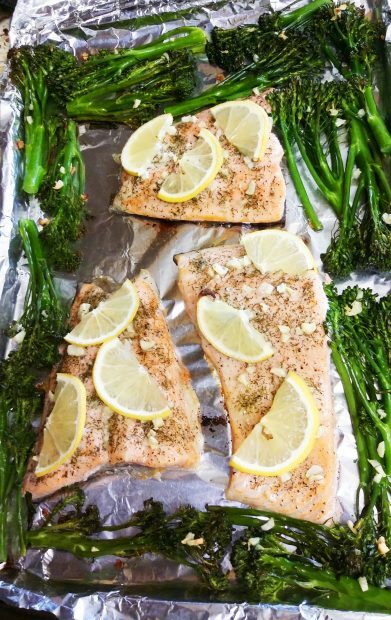 Bake in oven for about 10 minutes, or until fish easily flakes with a fork. Like your salmon a different way? We’ve got dozens! 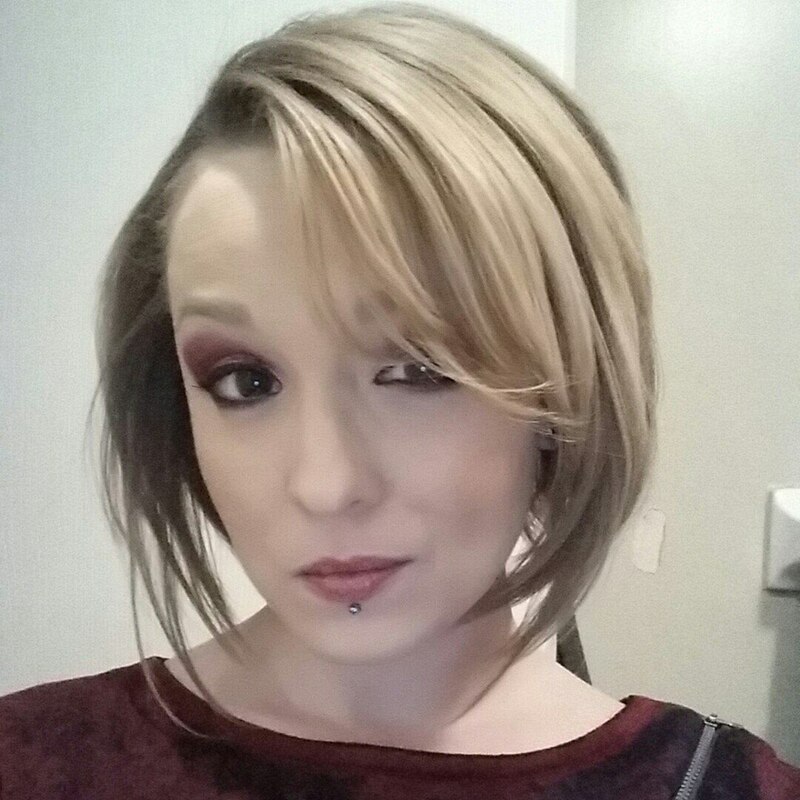 Check out all of Oh Snap! 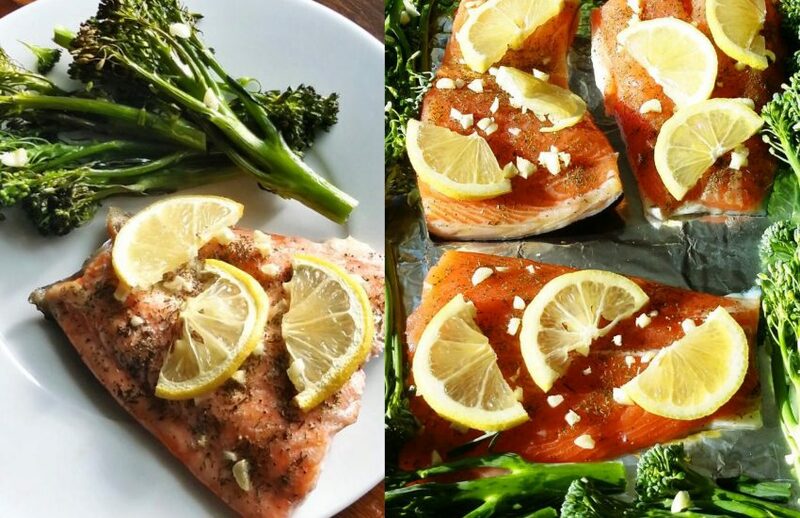 Let’s Eat!’s salmon recipes. I'm Stressed Out, What Do I Eat?! 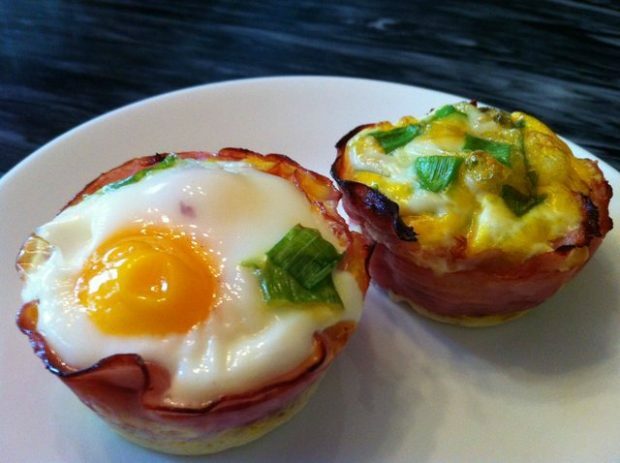 This looks so easy and amazing! With winter on its way oven cooking is what people are looking for. We may “borrow” this for our channel giving you all full credit of course.